A 2012 ISSA Innovation Award Winner for Disposables! The promise of the new MOD* Dispenser System is simple: deliver a customized washroom experience to everyone, everywhere. Nurses caring for patients, employees in office buildings, factory workers on break and fans cheering for their team – all have exactly what they need, when they need it. Innovative internal dispensing modules plug and play to give you the flexibility to build a dispenser customized to meet your requirements, so as your needs change, your dispensers can change with them. Available in three stylish color choices, the MOD* Dispenser System offers a modern design matched with modular flexibility. Loaded with Innovation. And Towels. 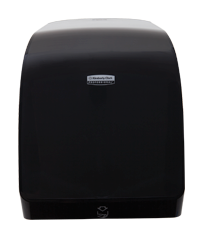 MOD* towel dispensers deliver the highest capacity around and include a stub roll feature that reduces waste and cost. This means fewer change outs and more satisfied users. Why Move to the MOD* Dispenser System? MOD* has the flexibility to change modules as your needs change – without changing out the entire dispenser. The NG-Series "power assist" setting offers the longest battery life – four times longe than the enMotion® dispenser. 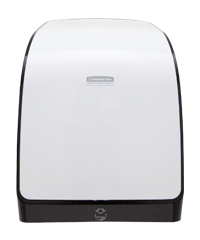 The MOD* Dispenser System is quieter than enMotion® and Tork Intution systems. All MOD* towel dispensers are ADA compliant. NG-Series: Designed to deliver a better experience and consumption control for customers in office buildings and high-traffic facilities. The patent-pending SMART CONTROL* Dispensing Technology features two delivery options – precut and power-assist. Towel delay settings not only control usage, but allow for faster or slower dispensing depending on the restroom traffic needs. The NG-Series is the next generation in touchless dispensing, offering the longest battery life in the industry. 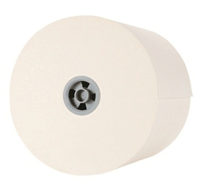 E-Series: Electronic motion-activated dispensing with the option for an unexposed sheet, making it ideal for healthcare facilities. 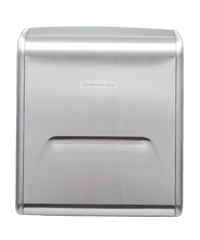 M-Series: Controlled manual delivery offers the hygiene of touchless dispensing without the batteries.